Fujifilm began as a photography company, but today is a well-known multinational imaging and information technology corporation. More recently, it’s expanded its focus (pun intended) on developing innovative technologies in the healthcare and regenerative medicine space. The news that Fujifilm was expanding into regenerative medicine was surprising to some given the company’s expertise in areas unrelated to stem cell research, but with the acquisition of Cellular Dynamics International, a company from Madison, Wisconsin that specializes in large-scale manufacturing of human cells, and the revamping of Fujifilm’s Japan Tissue Engineering subsidiary, which is developing regenerative treatments for damaged skin and cartilage, Fujifilm has solidified its position as a competitive company that’s accelerating the pace of regenerative medicine to develop treatments for patients with unmet medical needs. So what progress has Fujifilm made in regenerative medicine and what advancements are they making towards the clinic? 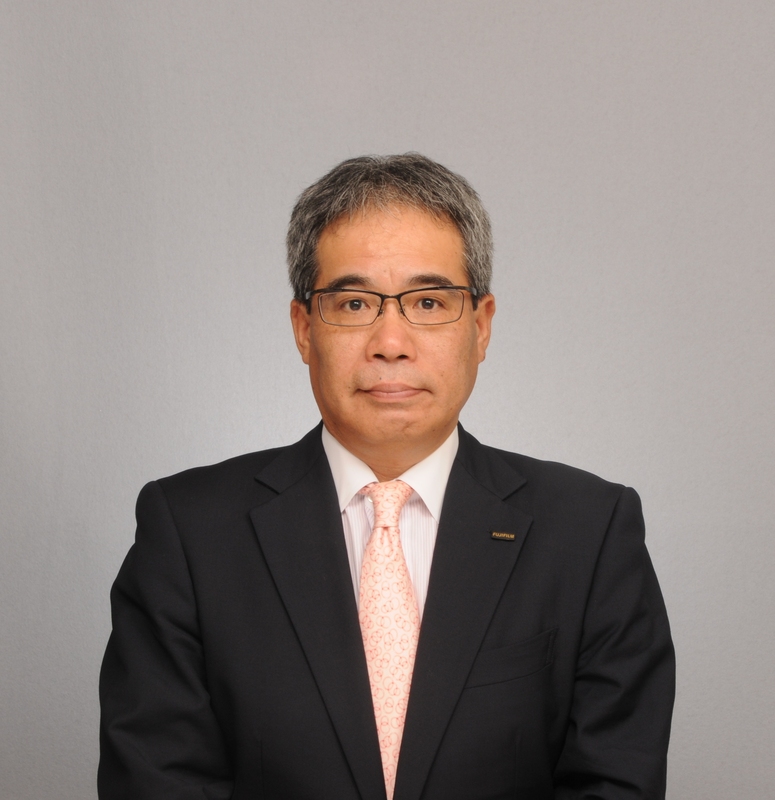 You’ll find the answers to these burning questions in my interview with Mr. Toshikazu Ban, Corporate Vice President, General Manager of Regenerative Medicine Business Division at Fujifilm Corporation. Enjoy! Q: Why did Fujifilm decide to enter the regenerative medicine space? TB: At first glance, Fujifilm may seem an unlikely candidate to become a leader in regenerative medicine, yet its engagement in the healthcare industry goes back many decades. Founded in 1934, Fujifilm started offering X-ray film just two years later. By 1983, Fujifilm became the first in the world to offer a digital X-ray diagnostic imaging system. Today, Fujifilm has been able to expand the use of its core fundamental technologies in cosmetics and supplements and pharmaceuticals. Combined, these have allowed Fujifilm to transform into a major healthcare company committed to prevention, diagnosis and treatment. Unfortunately, there are still many diseases for which there are no effective treatments, and millions wait in hope of their discovery. Regenerative medicine treatment has the potential to cure diseases that cannot be cured by drugs. Fujifilm feels a sense of responsibility to apply its technology in a way that helps make promising treatments a reality. Q: What advantages do you think Fujifilm has over other healthcare companies in regenerative medicine? TB: Fujifilm’s advanced engineering technology provides tremendous possibilities in the regenerative medicine space. The chief component in photographic film is gelatin, which is derived from collagen. Fujifilm has developed a human-type recombinant peptide which can be scaffolds for growing cells and restoring tissue. The human-type recombinant peptide is non-animal based, has high cellular adhesiveness, is flexible, safe, biocompatible, biodegradable and bioabsorbable. Cells survive better when they are combined with our recombinant peptide because it holds the cells better and allows space in between so that oxygen and other critical growth factors can reach the cells. Fujifilm also has two subsidiaries that provide synergies and efficiencies to be more competitive in the regenerative medicine field, Cellular Dynamics International, Inc., (FCDI), and Japan Tissue Engineering Co., Ltd. (J-TEC). In 2015, FCDI announced the launch of a stem cell bank with funding from CIRM to create induced pluripotent stem (iPS) cell lines for each of 3,000 healthy and diseased volunteer donors across 11 common diseases and disorders to be made available through the CIRM human pluripotent stem cell (hPSC) Repository. The lines available from the CIRM stem cell bank directly complement FCDI’s ability to provide differentiated cells corresponding to each of the iPSC lines, which will allow researchers to model the diseases represented, better understand disease progression, perform more targeted drug discovery, and ultimately lead to better treatments. A lot of pharmaceutical companies use these cells to test for the screening and toxicity of new drug candidates. If iPS cells can improve the productivity including efficacy and safety, the technology can greatly reduce time and cost as well as the drop-out rate in clinical development. In 2014, J-TEC became a consolidated Fujifilm Group subsidiary. J-TEC launched the first two regenerative medicine products to receive approval from the Japanese government (one product is used to treat severe burns, while the other is used to replace damaged cartilage in knees). Q: Can you describe some of the stem cell therapies you’re developing for the clinic for major diseases? TB: FCDI plans to start iPS cell therapy clinical studies in the U.S. for age related macular degeneration in the year 2017, and clinical studies for retinitis pigmentosa, Parkinson’s and heart failure around 2019. In March 2015, Fujifilm announced it had developed diabetes therapies in animal tests. CellSaic is a three-dimensional mosaic structure that combines cells with a recombinant peptide (RCP) scaffold made from micro-sized petaloid pieces of the protein. In a study involving type 1 diabetic mice, we created a CellSaic of human mesenchymal stem cells and cells from pancreatic islets and transplanted them in the mice. The purpose of the study was to verify whether using the recombinant peptide as a scaffold would increase the survival rate of the transplanted cells compared with just transplanting the cells alone. We also wanted to demonstrate a reduction in blood glucose levels of the diabetic mice since the recombinant peptide was able to sustain the viability of the pancreatic islet cells. The study showed that seven days after the transplantation, CellSaic had a significantly more prominent introduction of blood vessels, which provide passageways for nutrients, oxygen and waste product to get to, and away from, the cells. In addition, 28 days after transplantation, the test group of diabetic mice with the recombinant peptide-based CellSaic scaffold saw blood glucose levels lowered to the level equivalent to that of the healthy mice. In contrast, the diabetic mice who received pancreatic islets alone showed no change in blood glucose levels. Q: When you move into clinical trials, do you anticipate US trial sites in parallel with those in Japan? 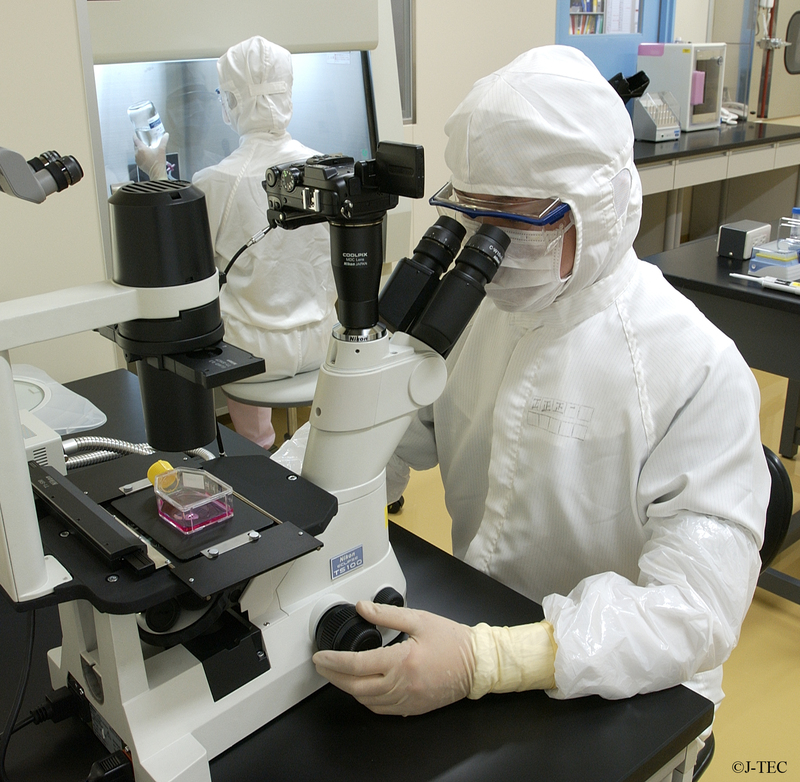 TB: FCDI plans to start clinical trials of iPS cell treatments in the US. J-TEC conducts clinical trials for autologous cultured corneal epithelium and plans to start clinical trials for allogeneic cultured dermis in Japan. Currently we plan to conduct these clinical trials where these companies are located. We may expand the clinical trials of the products to other countries in the future. Q: Can you speak to Japan’s regulatory system for stem cell therapies and how this could give Fujifilm a leg up on developing stem cell treatments more rapidly? TB: The go-to market conditions for regenerative medicine in Japan have become more favorable since the November 2014 implementation of the Pharmaceutical and Medical Device Law, which has significantly cut the time it takes to gain marketing approval in Japan and created more interest in this sector. Within regenerative medicine, academic institutions have shown remarkable progress. The mission of the industry is to apply findings from academia to patients and deliver high-quality treatments at a reasonable cost. Note: Technologies that pertain to Japan Tissue Engineering Co., Ltd. (J-TEC) are not approved for use in the US. You can learn more about Fujifilm’s latest efforts to “make regenerative medicine a reality” by visiting its Innovation website.